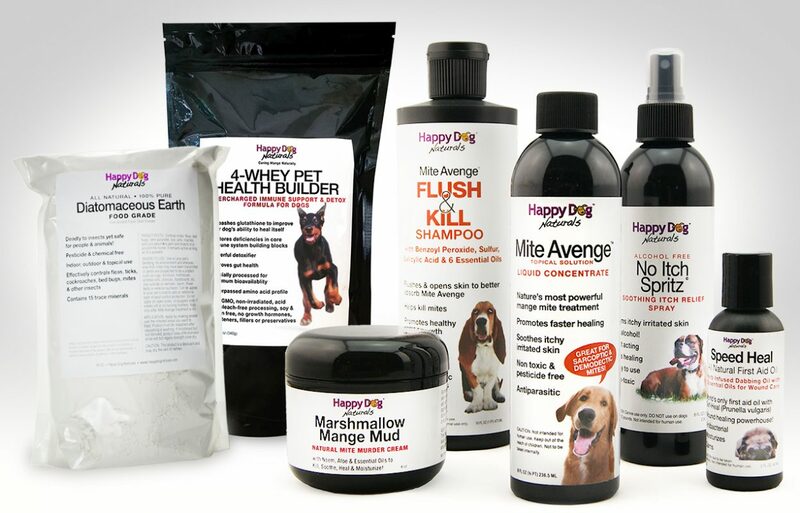 Cure mange naturally with Happy Dog Naturals' holistic treatment program. 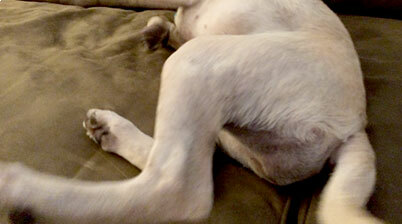 Do Toxic Mange Chemicals Really Belong on a Face Like This? Take control of your dog’s health and safely cure mange – naturally! LEARN. 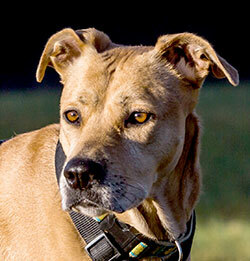 Become the educated advocate your dog needs. 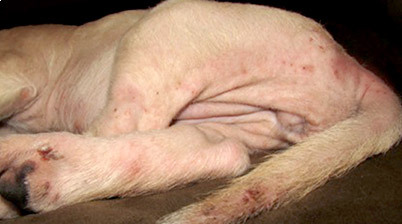 Find out what it really takes to cure mange. 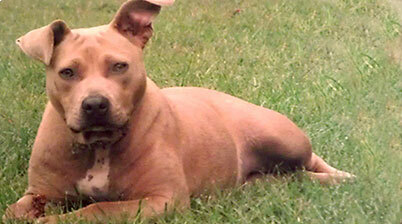 Our holistic system is safest for your pet and the only way to keep it gone. Learn about mange here. SHOP. Get Mite Avenge® and the supplies you need to cure mange holistically. Our products are carefully vetted for quality and integrity so only shop here if you want the best. Shop our online store. HEAL. Let the journey begin! Bookmark this site in case you need us as you lead your dog back to health. 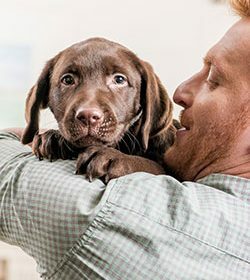 Happy Dog Naturals products are chemical free, formulated for power and made with love – just like we were saving our own dog. Because, we did. That’s how we got our start. 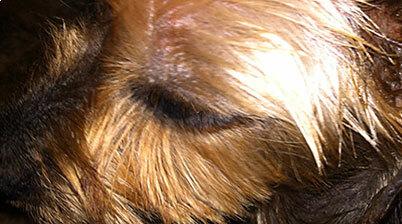 Mite Avenge®, came to be when we needed an alternative mange treatment to save our dog. Conventional medicine had failed us so in desperation we created a natural remedy. The results were astounding! Naturally (pun intended) a company was born. Today Mite Avenge® is stronger and just part of an integrated treatment system that is more effective than ever. Our unique products have no equal anywhere in the world. 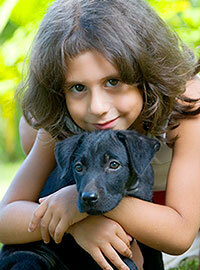 We’re honored that thousands of families have trusted us to help heal their dogs. Learn more about Mite Avenge® here. 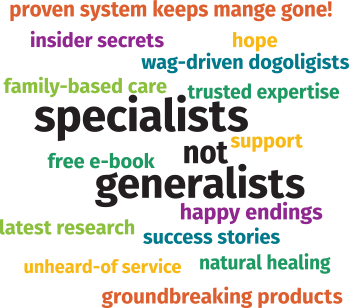 We’re specialists, not generalists. Mange is our only focus. Period. We do mange differently. 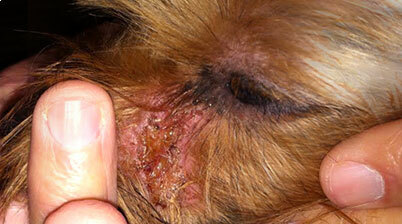 Deep research has proven time & again that just treating symptoms is not the best way to cure mange. We’re into the bigger picture. We offer the only system that addresses the true causes of Demodex and also the issues that make Sarcoptic and Cheyletiella so difficult to eliminate. “Wow! I am totally in awe. My 7 year old pit bull mix has demodectic mange. I am not a fan of chemicals so we chose Mite Avenge. After one treatment I can already tell a difference. Seeing some hair growth already! He looks and smells so much better. 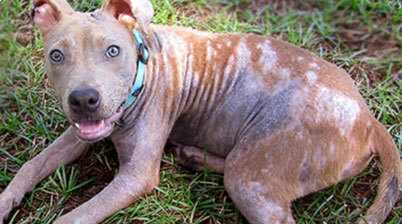 “Our puppy got sarcoptic mange at 6 months old. His scratching and biting became uncontrollable and he started loosing hair. I worked as a vet assistant so after administering many dip treatments I knew first hand what they do & wanted no part of them.